A memoir of the cultural revolution by Mei Zhi about her husband Zhang Guangren, better known under his pen-name Hu Feng, reveals both the human cost of that era in China and helps explain the curious strategy of its current leadership. The hand of history lies heavy in China. No one disputes that. For all the zealous modernisation of the whole narrative of “what it is to be Chinese” promoted by the current government in Beijing, from time to time voices, images and shocks about the past appear through the cracks. Very few Chinese leaders now mention the ten-year era now catagorised as the cultural revolution. And yet for Xi Jinping and Yu Zhengsheng, colleagues on the standing committee of the politburo of the Chinese Communist Party (CPC), this period marked their lives profoundly. They would not be the people they are today without the experience of those times. Xi worked on a pig farm in the early 1970s, did not see his father for over a decade. Yu probably lost his sister through suicide then. They may not choose to speak about this time. It is impossible that they should forget it. People can glibly talk about the horrors of the era from 1966-76, the cultural revolution years. It is hard though to see into the heart of this period, to understand exactly what its trauma was – particularly for Chinese intellectuals and elites. After all, they took the brunt of its populist campaigns. They were the ones who were dragged up in front of people in struggle sessions and humiliated. What was this experience like for them? How did it frame their view of the world? 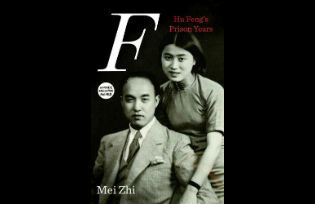 One of the most powerful and moving accounts of this era is contained in the memoires written about Zhang Guangren, better known under his penname Hu Feng, by his wife Mei Zhi. Originally issued in 1989, these have now been superbly translated into English by the scholar Gregor Benton. Anyone who wants to hear the unmediated voice of one of the true victims over this period, though a person who finally survived and emerged from it, should read this book. It is not comforting reading. Hu Feng had impeccable credentials. A close associate of the great writer Lu Xun in the 1930s in Shanghai, he was profoundly connected with the progressive urban literary world of the time. After a period studying in Japan, he returned to China and took up the party’s invitation in 1956 to offer some constructive self-criticism. As Mei Zhi makes clear many times in the book, Hu Feng subscribed to a personal and moral vision of integrity. Like George Washington, he was unable to tell a lie. This trait was to cost him dear. He was at first imprisoned for a decade, during which he was placed in solitary confinement. Hu was finally partially released in the mid-1960s, to be looked after by his wife, whose tales of their simple life together in internal exile in Chengdu are profoundly moving. It seemed he would be able to serve out the rest of his sentence in open confinement. But the cultural revolution was to end this interim. Taken away again, Hu was not to emerge until 1973, when Mei Zhi’s descriptions of him are searing. Barely in touch with his sanity, overwhelmed by years of relentless enforced self-inspection, Hu was literally no longer himself. But it is clear that her care restored him at least in part. With the fall of the radical leadership in 1976, Hu was reinstated. He had, after a fashion, survived. The system at its most extreme and relentless had not broken him. But as Mei Zhi’s words imply, the price he had paid was simply staggering. One thing is clear in this wonderful account. For anyone to survive as Hu Feng did, life had to be slowed down. Hu spends a whole day reading a single article, and weeks devising and then remembering a single poem. His world with his wife when reunited is one where the wonder of a single tree blossoming can take up a whole afternoon. Even a blade of grass growing in his prison yard gave something for Hu to latch on to and watch. These more than anything else kept him alive. It is striking that Hu’s managers over this period, from various prisons or reform-through-labour camps refer to themselves as “humanist revolutionaries”. Of course, humanist is precisely the opposite of what they come across as being. But Mao Zedong’s imperial grand framework was all they had to go on, and the price for standing in its way was terrible. None of the current Chinese leaders has undergone an experience as extreme as Hu Feng’s. But they would certainly know the costs of high-Maoism, and the unruly outcomes of populist, zealous politics in their country. So while these leaders attempt now to stir the hearts and minds of their main audiences, they would also harbour some reservations about how they keep control their efforts were truly to take fire. Perhaps that lies at the heart of their curious current strategy to concede on some areas, and enforce in others. Their experience teaches them the true challenges of dreaming too hard, of how volatile idealism can be. And for China today, including members of the elite, if the future is a dream, some parts of the past are a nightmare to which they never want to return. Kerry Brown is professor of Chinese politics and director of the China Studies Centre at the University of Sydney. He is an associate fellow of Chatham House, and leads the Europe China Research and Advice Network. His latest book is Carnival China: China in the Era of Hu Jintao and Xi Jinping (Imperial College Press, 2014).